The UK aerospace sector is reaching new heights, thanks to a significant investment to help transform the future of civil aerospace. With the development of electric and hybrid aircraft set to take off, now is the time to join an exciting sector and play your part in transforming the future of air travel, helping the UK to retain its status as a pioneering aerospace nation. What will the funding be used for? The UK’s world-leading aerospace sector will soon be propelled into a new era of cleaner and greener flight through a combined industry and government investment, which will see a number of innovative projects firing up over the next 12 to 18 months. Announcing the £343 million investment at the 2018 Farnborough International Airshow on Monday 16th July, the Business and Energy Secretary, Greg Clark, revealed that £255 million of the total amount – supported by the Aerospace Technology Institute (ATI) and UK Research & Innovation (UKRI) – will go towards a staggering 18 new research and technology projects, including the development of hybrid aircraft. “The UK has a rich heritage in civil aviation as the home of the jet engine and the wings factory of the world,” explained Clark. “Technology is driving revolutionary changes in aviation that have not been seen since the 1970s. These projects will not only help maintain the UK’s existing strengths in aerospace but also position the UK as a world leader for some of the most technologically-advanced aircraft that will ultimately transform the face of aviation including the introduction of electric aircraft, hybrid-electric propulsion systems, and future materials for aircraft manufacturing. What job opportunities will the investment create in aerospace? 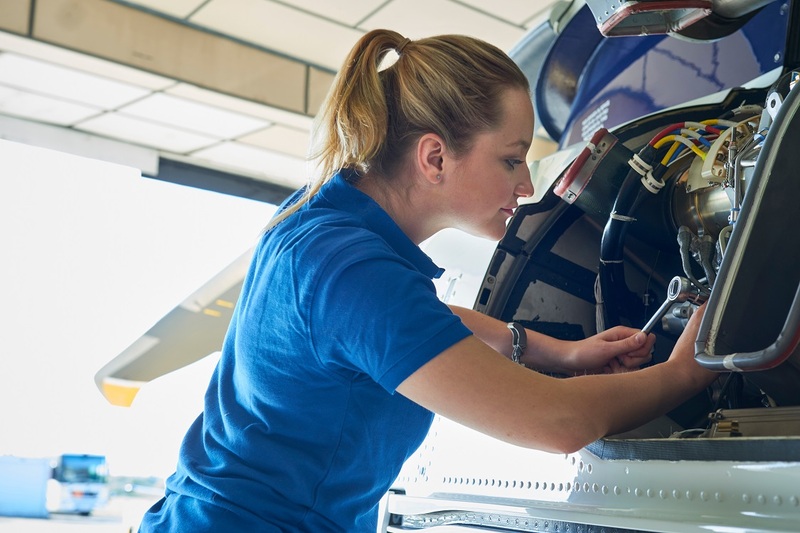 The UK aerospace industry is the second biggest in the world and, with an ageing workforce and a growing skills gap, the industry is ramping up its recruitment efforts and expanding its search to supply the engineers it needs to progress. “Radical improvements in operating efficiency, advanced avionics, impressive interior cabin designs and noise reduction capabilities are all driving increased customer demand. However, the wider use of composites, advanced manufacturing technology requirements and conversion to new electrical systems, are also rapidly changing the way aircraft is manufactured. This results in the creation of challenges across the supply chain as the supply base struggles to make the changes necessary to keep up with aircraft OEM demands. The revolutionary E-Fan X project, which brings together Airbus, Rolls-Royce and Siemens to develop a flying electrical demonstrator, is one example of where the investment will be put to use. The project is destined to form the foundation for future electrical aircraft and help the aerospace sector to manufacture cleaner, quieter aircraft and grow the industry sustainably. Rolls-Royce’s ACCEL project, meanwhile, is to lead a UK programme to accelerate the electrification of flight, which will contribute to the UK’s aim to cut emissions through its Clean Growth Strategy. The funding will support a number of projects on the next generation UltraFan aero engine, also led by Rolls-Royce, which will contribute to their biggest shift in engine architecture since the 1970s. It will transform flight, setting new benchmarks in fuel efficiency, CO2 reductions and significant cut- backs in engine noise levels. The government has also welcomed the completion of Bombardier and Airbus’ Joint Venture – a partnership that will support the development and manufacture of structures for the A220 jet at the Bombardier facility in Belfast. Aviation Minister Baroness Sugg said: “The development of quicker, quieter and cleaner aircraft will transform the UK’s transport market and open up new and more sustainable ways for passengers to travel between our cities and regions and across the globe. Greg Clark also announced the start of formal negotiations for an Industrial Strategy sector deal that will further increase business investment and “boost the productivity and earning power of people throughout the UK”. The deal is expected to explore investment opportunities around electrification and high-value design, while raising productivity levels in the supply chain and boosting skill levels in the sector. If you’re looking for your next career move, click here to find out more about the current aerospace opportunities.